Lots of crafters on YouTube had been talking about the balsa wood boxes in the $1 bin at Michael’s and doing videos of the beautiful things they made of these little boxes. So, here is one of my creations made with my all-time favorite paper. I grab a couple of sheets whenever I see it on sale. Actually, it is the first paper I have ever really loved so much that I feel concerned if I don’t have a couple of sheets in my stash at all times! I had beautiful flowers that I had ordered on-line from Wild Orchid Crafts (the pink carnations) and they always send a little “thank you” package. Six of those large, dark blue roses were gifts from WOC! How perfect! Another view will show you what I mean. 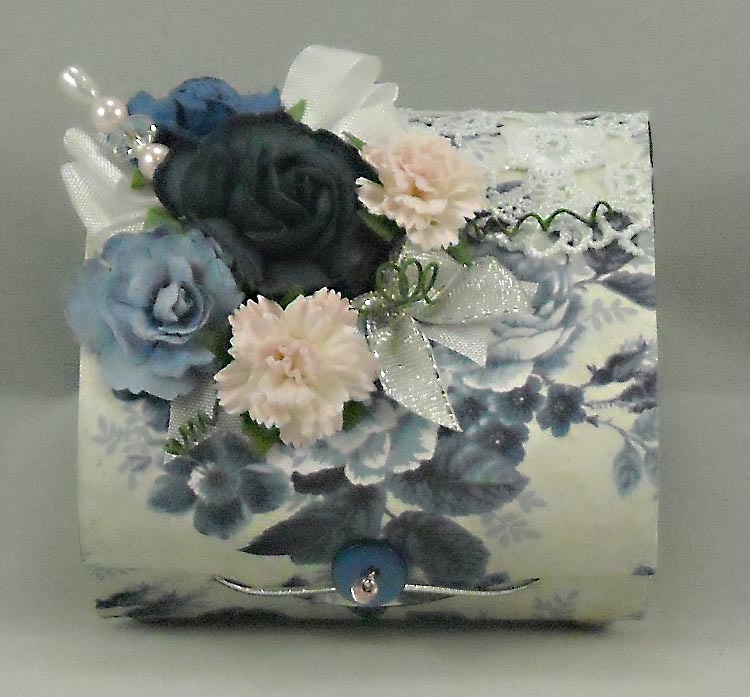 The box has a jeweled pin, some beautiful lace and a couple of pretty bows to finish the top. The inside and bottom of the box are finished as well. 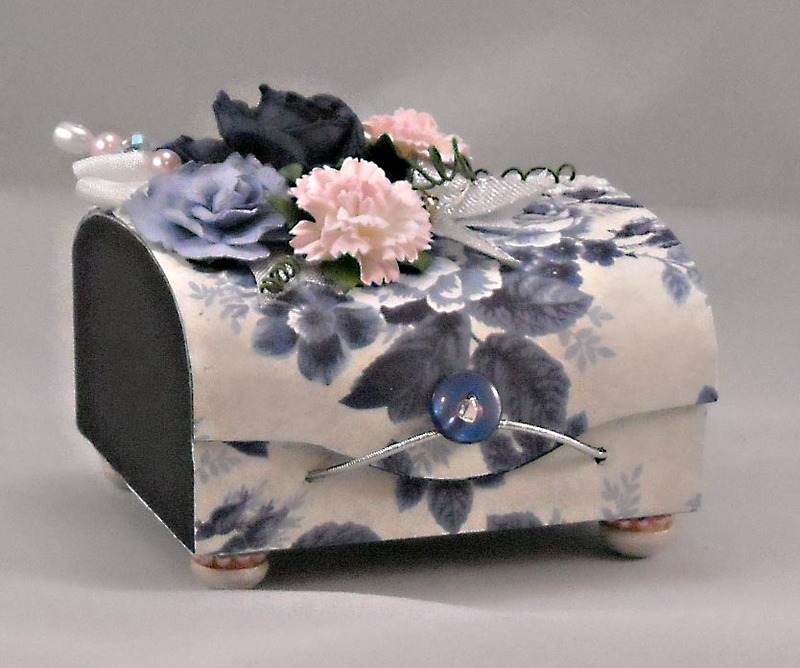 The little feet are painted with a white pearl paint and have pink pearls around the top edge. The bottom is a matching paper in this series that has little white dots all over it. I appreciate your time and attention to my little offerings and I love to hear from you! This entry was posted in art, papercraft. Bookmark the permalink.